Are you looking for a quick and easy, no-fuss craft project for your kid? Step forward, humble Mason jar. 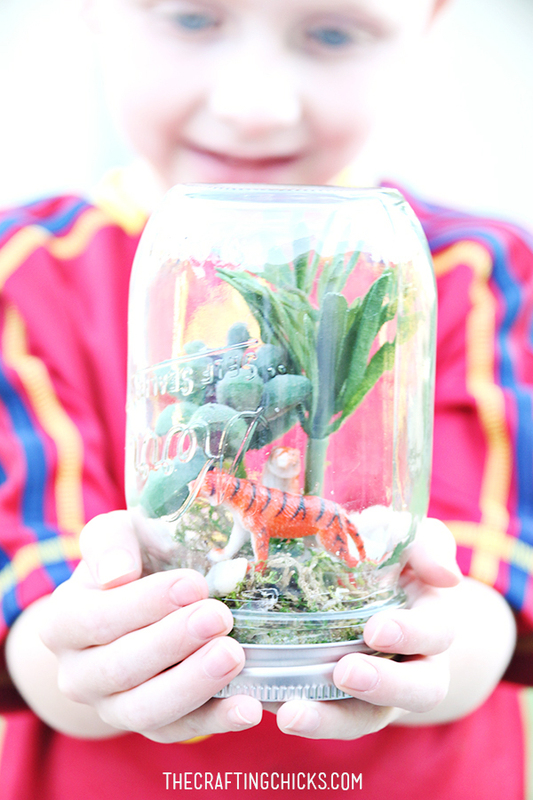 Whatever your little one is into, be it fairies or tropical fish or wild animals, a recycled Mason jar can be the stuff of their dreams. (Of course, it may also be the stuff of nightmares for you if a crapload of glitter is involved, but isn’t that a small price to pay for your child’s happiness?) Another great thing about Mason jar crafts is that the finished product is, well, the size of a Mason jar, so it’s perfect for small spaces — and moms who hate clutter. 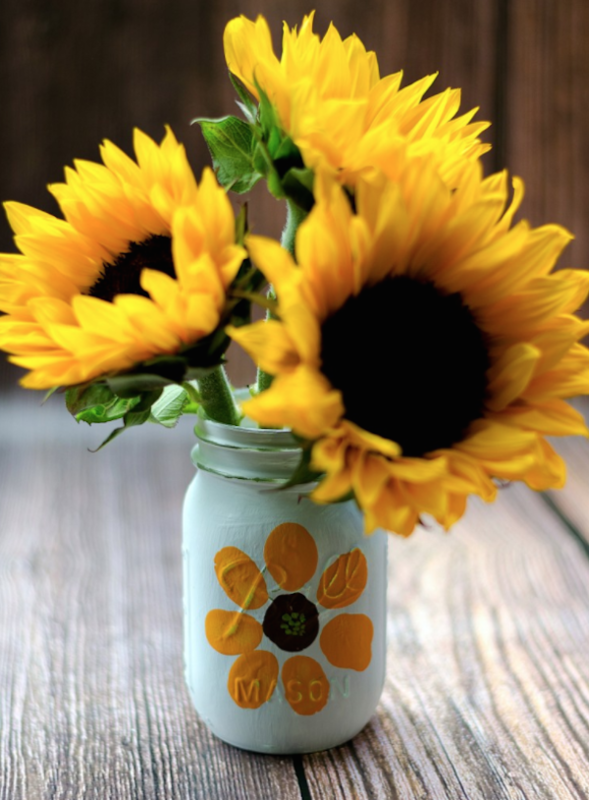 Check out these simple, child-friendly Mason jar crafts — and feel free to put your minds together to come up with your own variations, because there really is no end to Mason jar craft potential. Don’t believe us? Just ask Pinterest. A trip to the Amazon might be out of the question for your jungle-wild kid, so help them make their own miniature rainforest. Finally, a home for all those tiny toy animals you try not to step on every time you cross the living room. Check out how to do it at Crafting Chicks. Put sheets down on your table or floor (or go outside if it’s dry and you don’t relish the thought of splatters on your walls) and let your kid go wild with the craft paint. Because what do kids love more than making a mess? 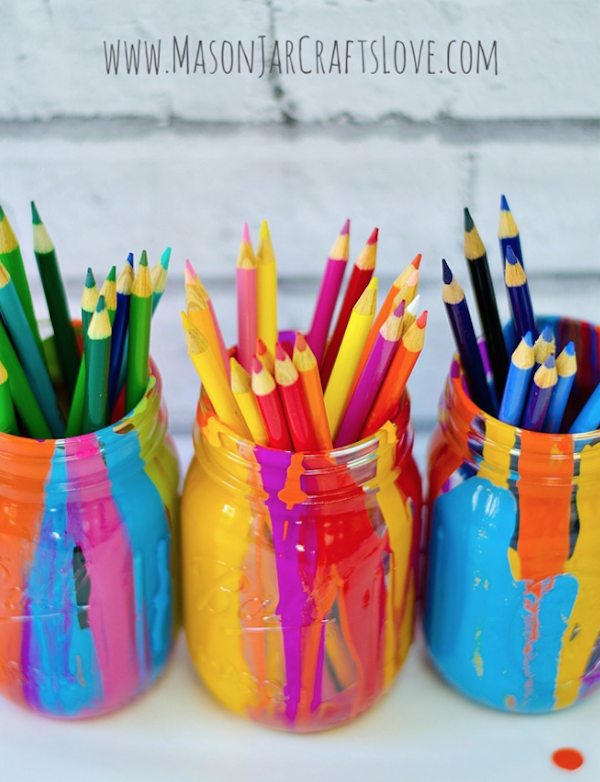 It will all be worth it when you end up with adorable brightly colored pots to use for pencils, straws or dried flowers. Get the full tutorial at Mason Jar Crafts. 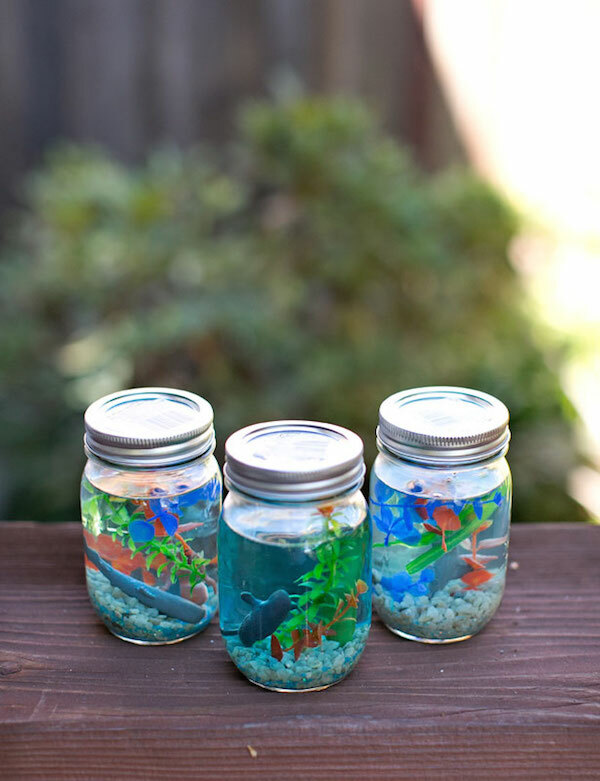 Water, a little food coloring and plastic rocks and figurines are all you need to make your very own aquarium (and you’ll never need to feed the fish). Hello, Wonderful has all the details. This is a Mason jar craft you’re really going to want to show off. 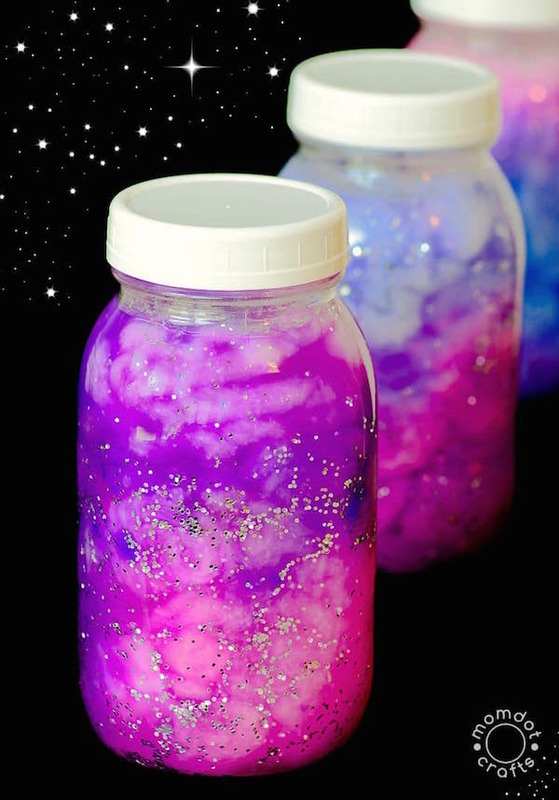 Also known as nebula jars (a nebula is an interstellar cloud of dust, hydrogen, helium and other ionized gases, FYI), galaxy jars are considered to be calming — ideal for kids (and adults) who experience sensory overload or need mindfulness and stress-relief tools. Find out how to make yours at MomDot. 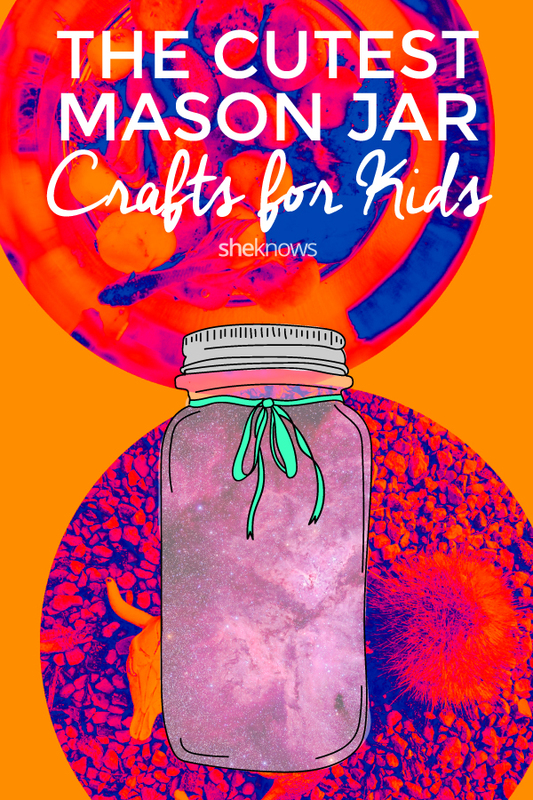 No child is too young to make a thumbprint flower Mason jar — some thumbprints just might be teenier than others. Yes, the potential for mess is huge (kids’ fingers in paint, go figure) but the end result is precious. It’s the perfect gift, and Mason Craft Love has all the how-tos. 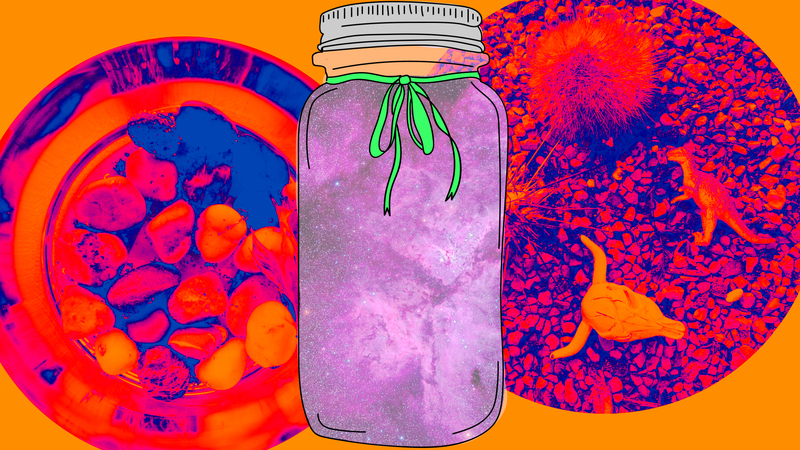 Whether you consider yourself crafty or not, Mason jar projects are a foolproof way to get your kid’s creative juices flowing — and have some artsy bonding time with your little one to boot. You never know; you might just love your keepsake so much, you’ll hang onto it forever.